The last few days have been a bit of a whirlwind. As you will all know by now, I helped Boxer Cycles out at their stand and test track to show people the power of the cargobike! Definitely an adventure in itself to meet people who didn’t realise a cargobike even existed. I hope we have opened a fair few eyes and minds to the idea of the best alternative to the car. It was also my first London Bike Show, which was an eye opener for myself. Unfortunately. It emphasized the fact I was already painfully aware of: utility cycling is totally frowned upon. Women are frowned upon. The two combined are a beast coming straight out of purgatory. A pootling woman, on a bike? I have seen the most gorgeous 12k carbonfibre racer, but well yes….not my kind of bike, soz! On my last day in the final hour, I had a quick look around the remainder of the show and something glistening and shiny caught my eye. Could it be? A utility bike? 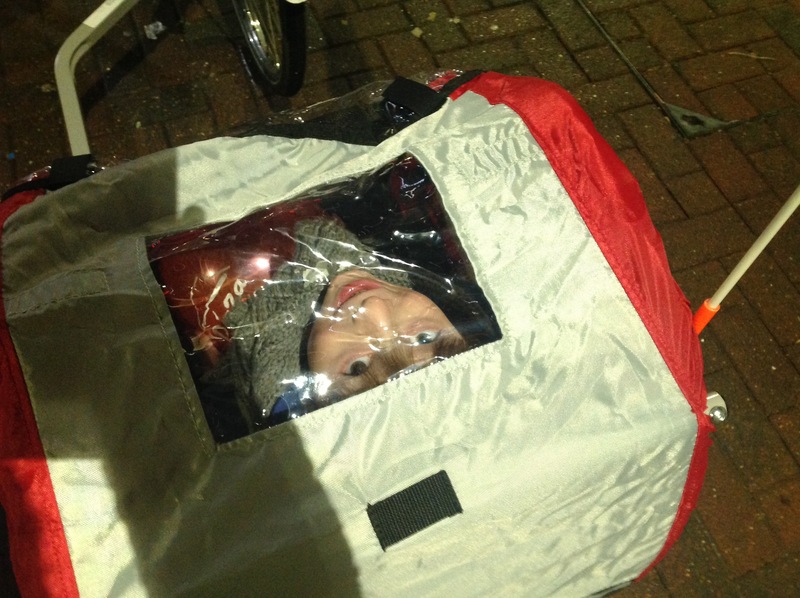 At the London Bike show? Surely not? But, indeed, I did find one retailer who had some gorgeous looking two wheelers made for people like me. The bike manufacturer was called Orbita Bikes. How utterly sweet does this bike look? It really is a no frills bike and does what it says on the package. The only draw back I could see was the regular dynamo to power the lights. But then again, it reminds me so much of an old gazelle or batavus. A proper, simple two wheeler bike! The price of this precious blew me away too. 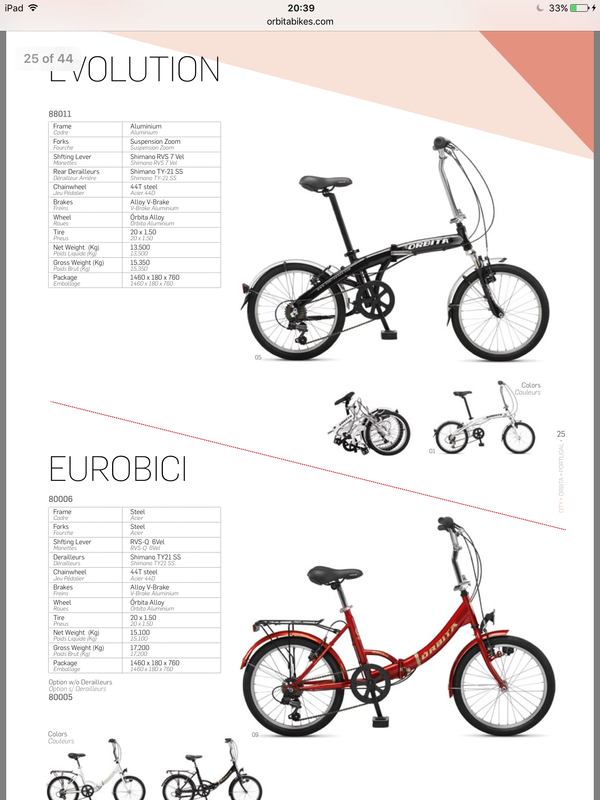 An orbita bike ranges from £200-600. I would suggest giving @bikesorbita a tweet to know specifics, if interested. So yes, a sturdy looking no frills Dutch bike. For less money. This mum is a fan! 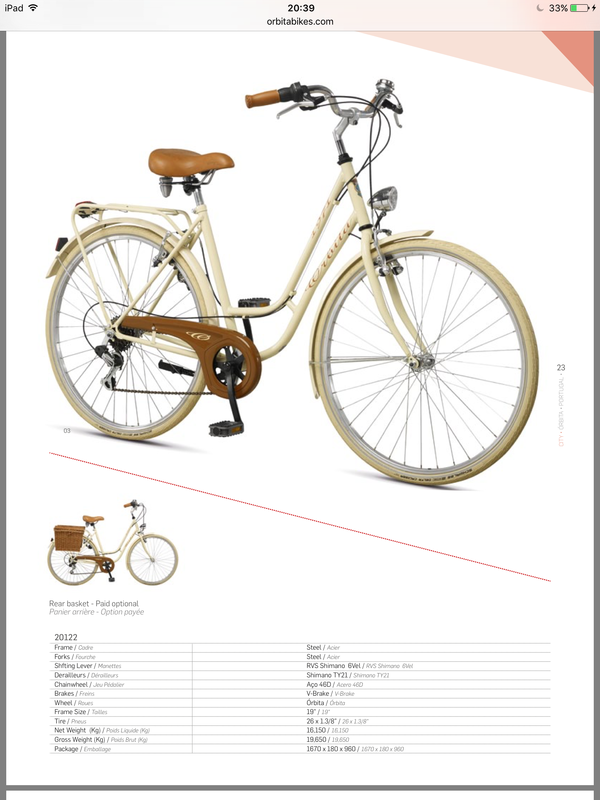 Orbita has a full range of lovely bikes, which you can find at orbitabikes.com (there is also a handy brochure). They are still looking for UK retailers as well, which might be of interest. I feel that if we want to change the cycle community’s perspective here, we need to start selling some utility bikes in every price class. I’ll leave you with some more pictures of different orbita bikes which caught my interest as well. I do hope to see some on English roads very soon. The Great British Cycling Community. I have been part of the London branch since August last year. And, there is something which I need to rant about. Indeed, where are the women in this community!? Tonight there is a debate at the Design Museum. The Museum has a lovely exhibition called “The Cycle Revolution” and they are holding a debate about said topic. What particularly annoys me is their Line up. FOUR MEN, one woman. 4!!!! Men, 1 woman. (Sorry Donnachadh, although I love your work, you are still a man too). I am probably going to kick some shins here too when I say, that even the woman at the debate tonight doesn’t represent me. Don’t get me wrong, it is good we have people like Jools Walker around. But, honestly, she isn’t representative of the women (mums) utility cyclists we so desperately need in the community AND debates. I am not a vulpine woman. I do not give a rat’s arse about what underwear I need to wear while cycling up Box Hill on a Sunday morning at 6am. No, I am a primark mother, who cares about how quickly I can get my kid safely to school and myself to work, while wearing corduroy trousers or flipflops. THAT’s the kind of women I want to see in this debate. A “cycle revolution”?? How are you going to get a revolution going if you cannot get the motor of society on a bike!? Women hardly cycle over here, women utility cyclists such as myself are a rarity. Women here do not realise they can actually cycle to school with their children, to the shops, to their friends, because nobody represents them and shows them how it is done. Women here are afraid and until they are led to believe it can be done, this whole cycle revolution is one big farce! The lack of female utility cycling representation is also very much shown in the upcoming London Bike show. No women speakers at all. “A girls team” will be “presented”. Probably by an all male barrage of hosts? Women, what a dirty word in the cycling community. As if we are shunned. And the women who do have somewhat of a voice act too much like the men around them. What we need is a full blown feminist revolution. And when that happens, the cycle revolution will come to fruition. I want to see more utility cycling women in debates, and I want to see them NOW. As you all know by now, I have a big love affair with the Cargo Bike. I was the proud owner of one before it got stolen and I have test ridden a fair few in the last couple of years. Cargo bikes are a brilliant way to transport children, but are also massively important if we want to engage businesses and councils alike to build the livable cities of the future. It was this love which drove me in the first place to the people of @boxercycles quite awhile ago. 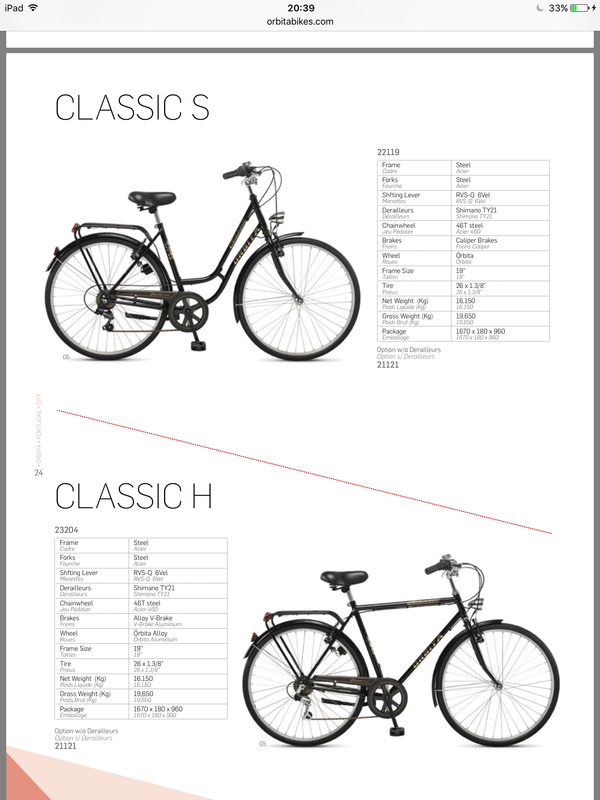 As shown in a previous blog post, I love Boxer Cycles for a number of reasons. They take their love for cargo bikes to a new extreme. A touch of bling here, a sprinkle of pazzaz there, shaken and stirred with the newest technology and BAM: Cargobike Extraordinaire. Yesterday, I had a meeting with the Founding Father of Boxer Cycles, Jeremy Davies. It was our mutual love for the Cargo Bike which eventually brought us together. When you talk to him, you’ll notice the same passion and determination you’ll hear from me and I believe that’s what makes their brand so attractive. I really feel they will be big players on the market in the years to come. But ok. Don’t take my word for it and make up your own mind. Because, you can come and see them for yourself! 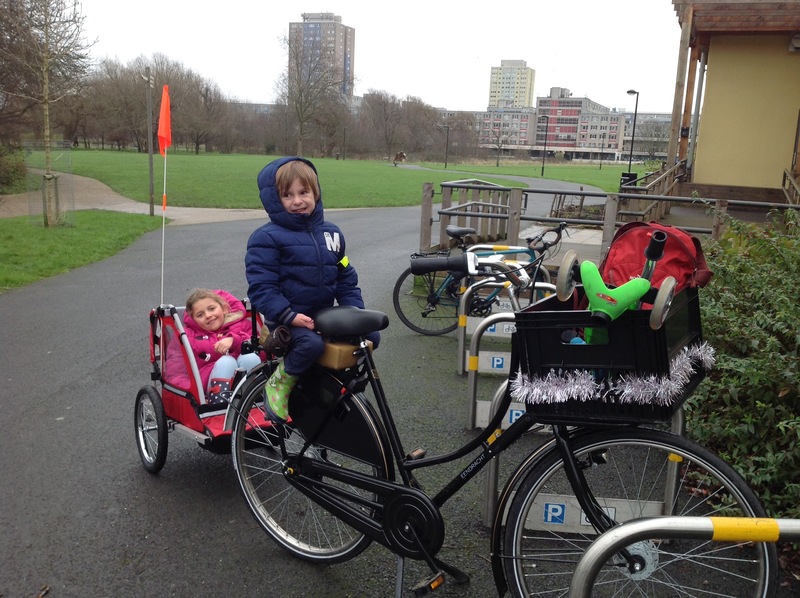 And you can come and see a real London Cargo bike Mum for yourself too! Jeremy has kindly invited me to work alongside them next week at the London Bike Show. Click on the link for the show’s website to pop up for more information. You’ll be able to find @boxercycles and me @mamamoose_be at stand LB470. 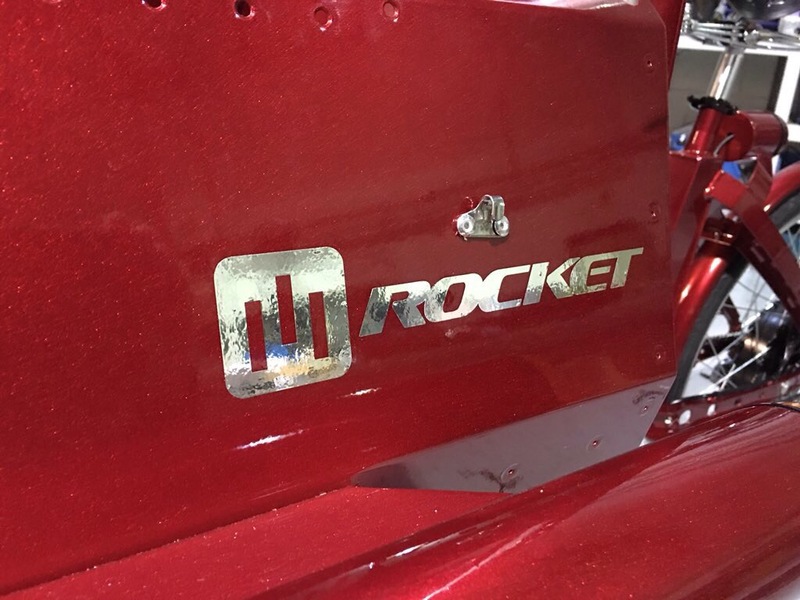 Jeremy has promised he’ll bring a Rocket to try out on the track (If you can pry it out of my hands, that is), and a few other amazing surprises! I don’t want to give away too much, as of yet. 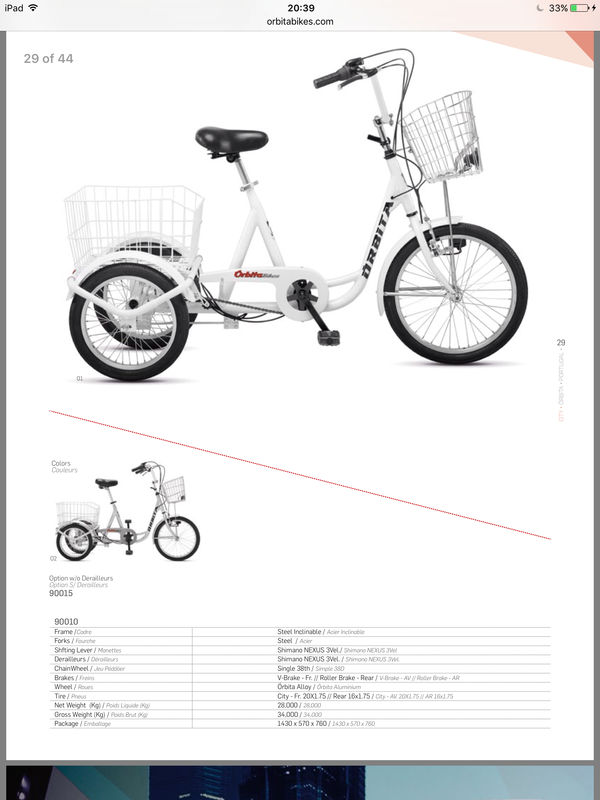 But perhaps I can lift a tip of the veil: “The Bentley of all Cargo Bikes”. I fell in love just seeing the pictures, before I even saw the specifications. Have a sneaky picture! Come find out the rest at our stand! 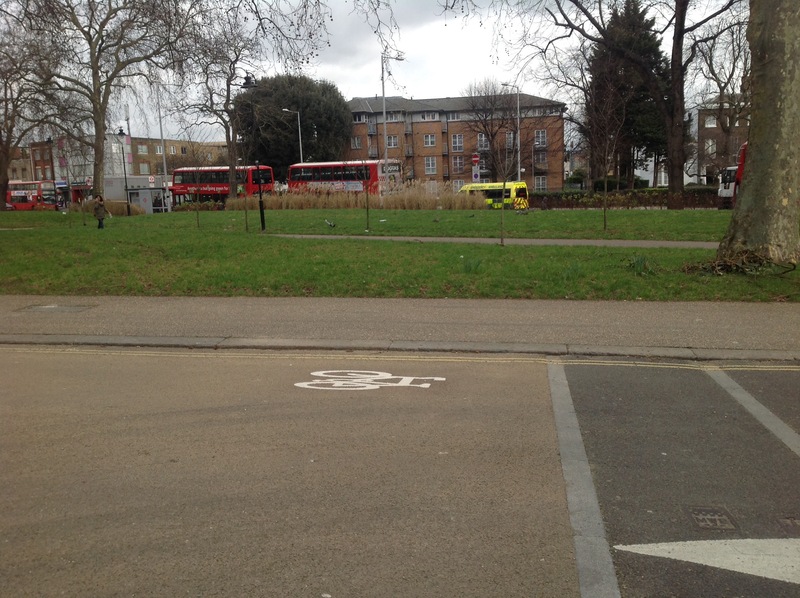 Today I cycled from Lordship Recreation Ground to South Tottenham, to go to one of my families (I am a self employed housekeeper in Tottenham and take care of many families in the area). 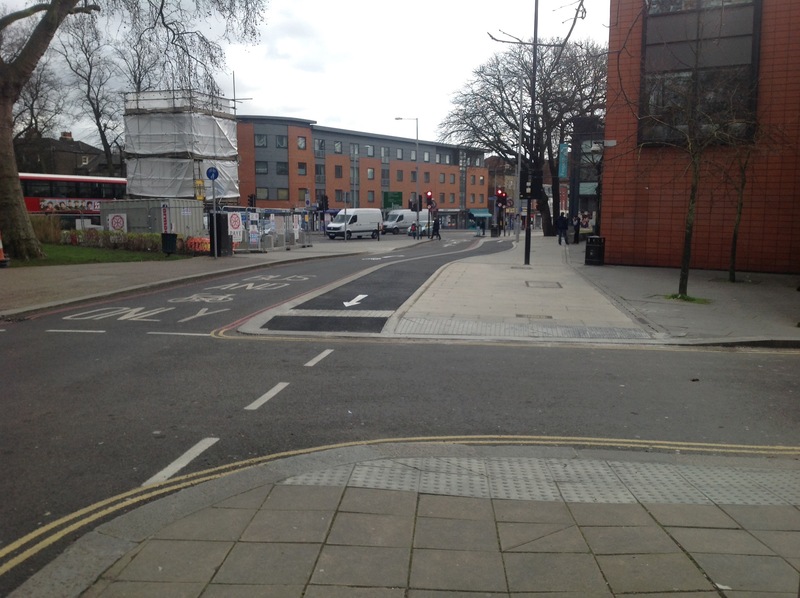 I decided to take the CS1 route and check out the bit they were working on last week. I had high hopes how it would turn out, but got bitterly disappointed instead. Did you notice the big, badass, massive footpath on the left!? And did you notice the painted bicycle on the road? You get two guesses where I will be cyling. 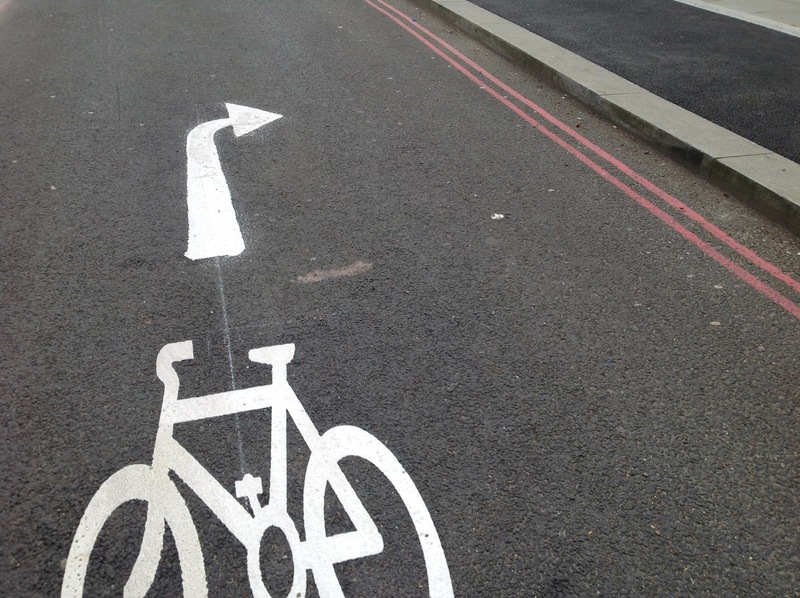 I’ll give you a tip: it won’t be on the magical painted bike (because buses take that road). The Great TFL waste of money scheme, coming to a spot near you soon! I feel lucky today. I went to work, I picked up my son from school, I gave him a hug, we went grocery shopping and we came home. I feel lucky, because I am still alive. 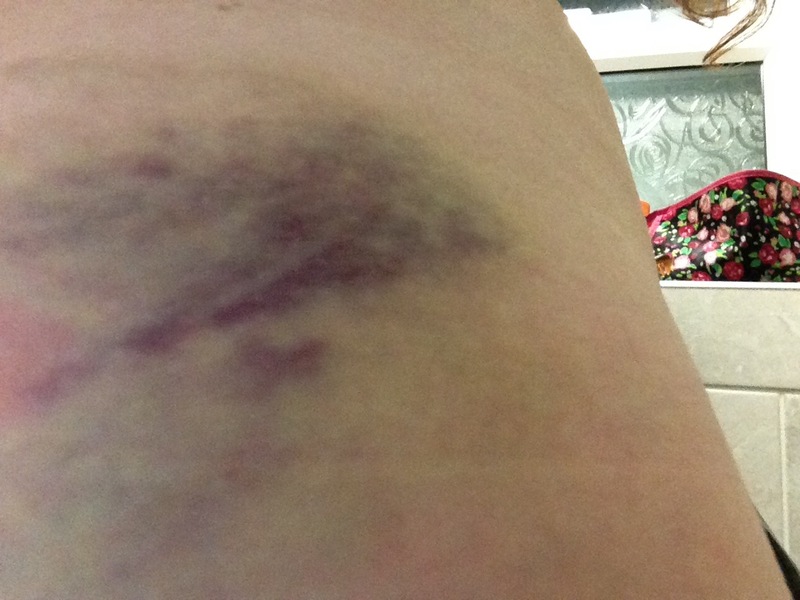 I nearly died last September. I nearly died, because a car driver hit me, while I was cyling on a strip of paint, which they call a “cycle path” over here. 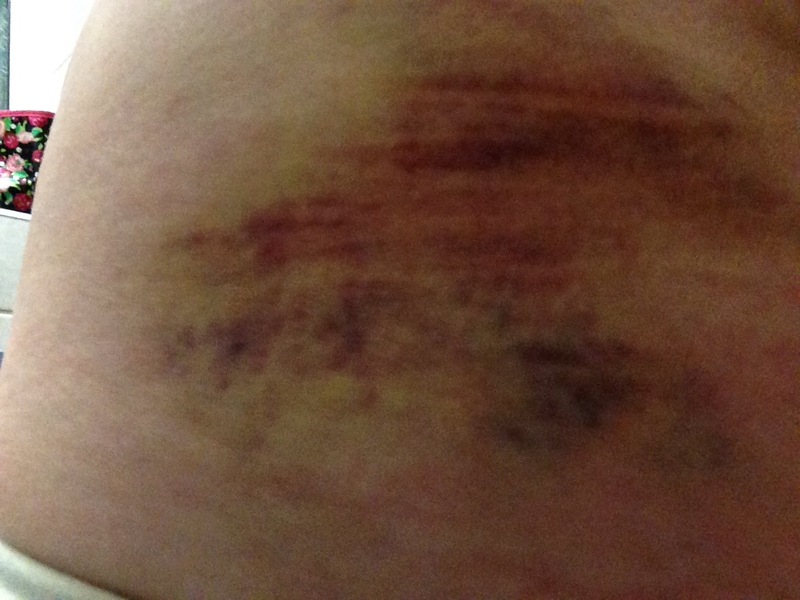 Yes, that is my backside. 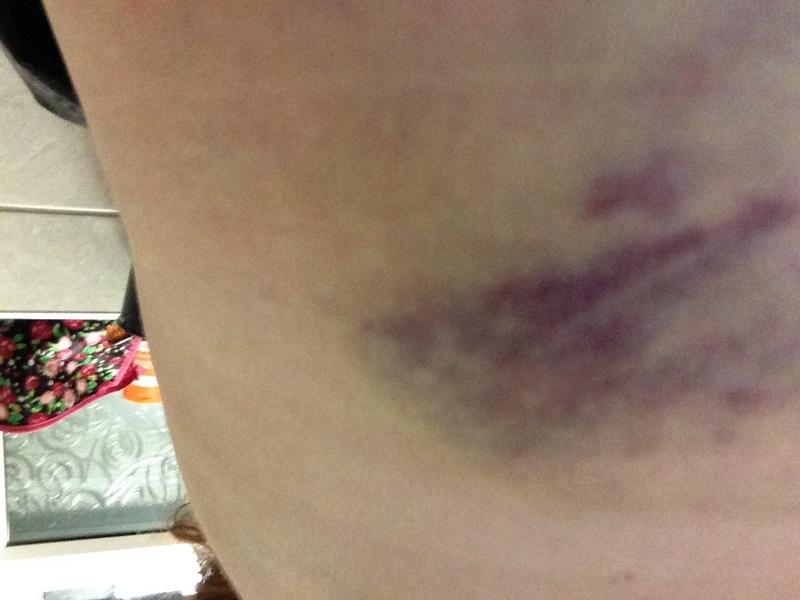 I couldn’t sit, lay down or walk properly for two whole weeks. But, I thought, it was ok, because I did not die. I nearly died, and then they send me this. Today I have been the victim of another road rage incident. I would like to share with you what was hurled at me. At 13.30 I was cycling towards one of my new families for a home check. 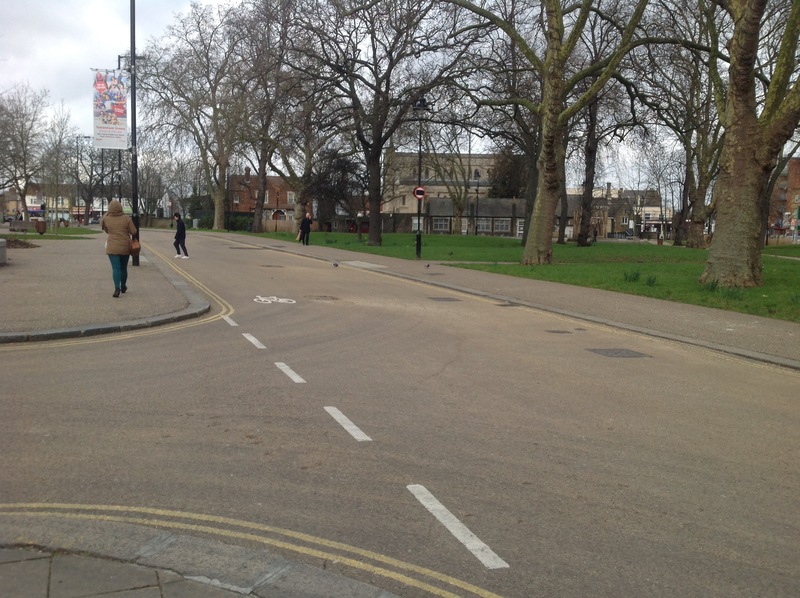 I took the London Cycling Network on Higham Road, N17. A White Van Man pulled up behind me, nearly knocking over the trailer behind my bike. And this kept going on until I took a right turn into the street I was meaning to get into. 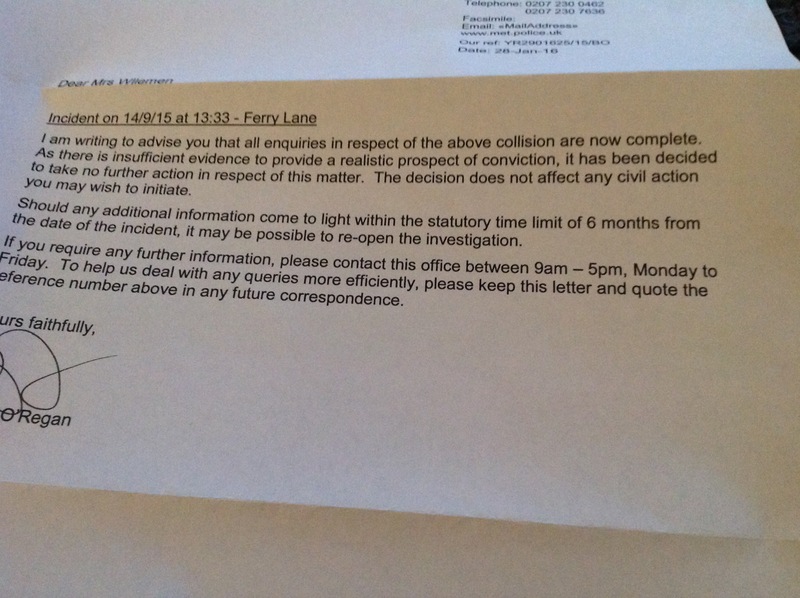 If this driver reads this, know for a fact you only make me more determined to carry on cycling. Your rage will consume you in the end, but will fuel my passion. You lose. “You have a BIG BIKE” is one of the comments I hear a lot from people. My Dutch Bike does indeed stick out from your run of the mill road/mountain or hybrid bike you normally see over here. In comparision, it is a bit on the big and heavy side. Obviously for a reason. It is a utility bike. Used for cycling around children and shopping. I have had my bike now for a fair few months and unfortunately she is not BIG enough for the things I carry around. Most days I only have Henry to cycle about, but on weekends my daughter Elizabeth is also part of our family. Doing a big shop, in several stores, has also been a bit of a headache recently. How on earth would I find an affordable solution to that problem? Cue: The Bike Trailer! I must admit, I am not a huge fan of the bike trailer. It hangs behind your bike, so you can’t actually see your child causing mischief. It is very low to the ground, so would car drivers actually see the thing you drag behind you? It is also made quite flimsily, with a bit of aluminium and fabric. All in all I still massively prefer an actual cargo bike with a box in the front, but as finances don’t allow it at the present, the bike trailer will have to do. I found an affordable “one kid” trailer at Halford’s and decided to pay them a visit. The gentleman serving me had a “wtf” kind of moment when I asked about the trailers. “We have never actually sold one of those before to be honest, I don’t know whether it fits on a Dutch bike”. After a bit of to and fro and a break at pizza hut later (yes, they were installing it with two people), we were the proud owners of a Big Bike Addition. Before setting off home, I decided to first have a cycle around Tottenham Hale. To make sure I knew how to turn this thing around and how wide we were now going to be. If people sold me The Look before, they were now throwing looks to kill. Yes! A Bike! WITH A TRAILER. TO PUT ACTUAL STUFF IN. AND CHILDREN, TWO OF THEM, AS A MATTER OF FACT. We collected Elizabeth and went on our way home. Cycling with a trailer is not much different from cycling a regular bike. You just have to be aware you are slightly wider (the one child trailer is actually not that wide at all) and obviously, slightly longer. Navigating the Tottenham cycle paths cycle gates are a bit trickier, but we fit. Which is the main thing. 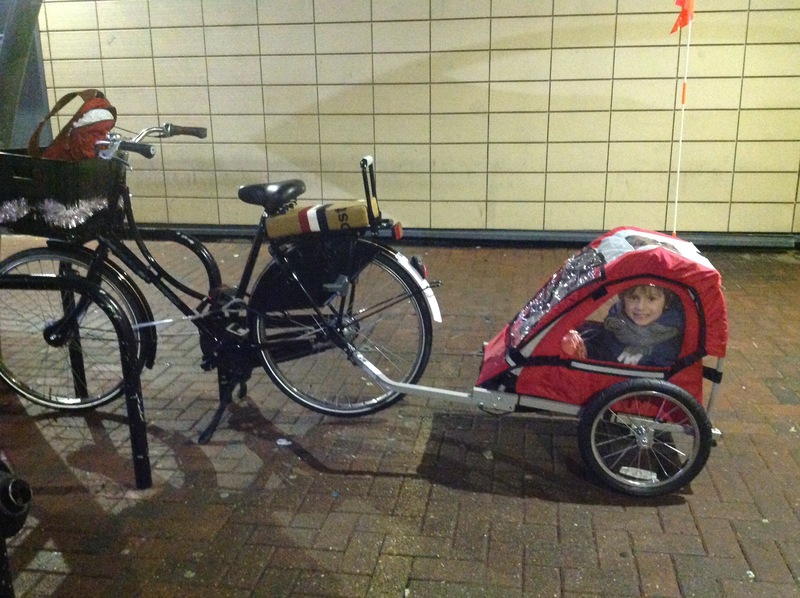 Admittedly, if I have one of my children in the trailer, we cycle on the pavement. I don’t trust drivers here to slow down, while overtaking us. And perhaps not seeing there is a trailer behind me. But, we have to start somewhere. 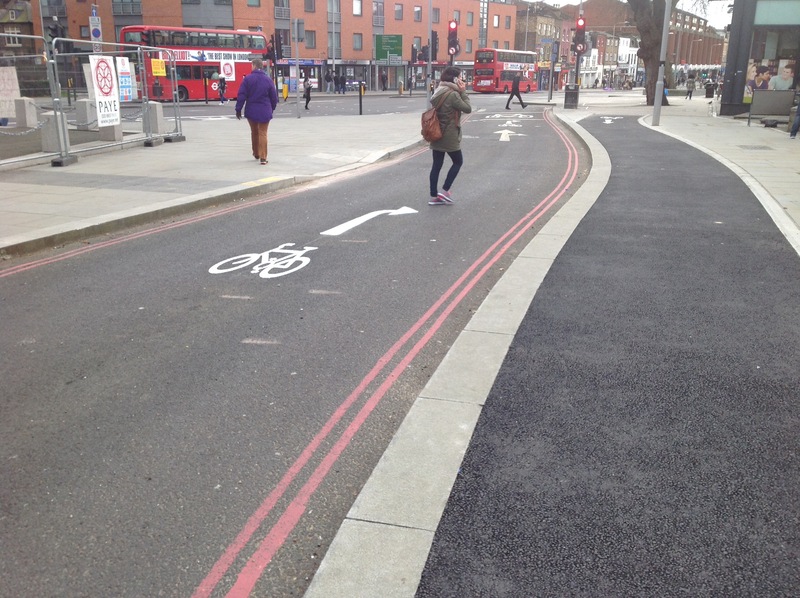 The good people of Tottenham don’t know the endless bike possibilities. They complain endlessly about being stuck in traffic, when they could find a cheap solution. And I find you can only teach them, by providing the example. To put this theory to test, we did a nice little outing today. 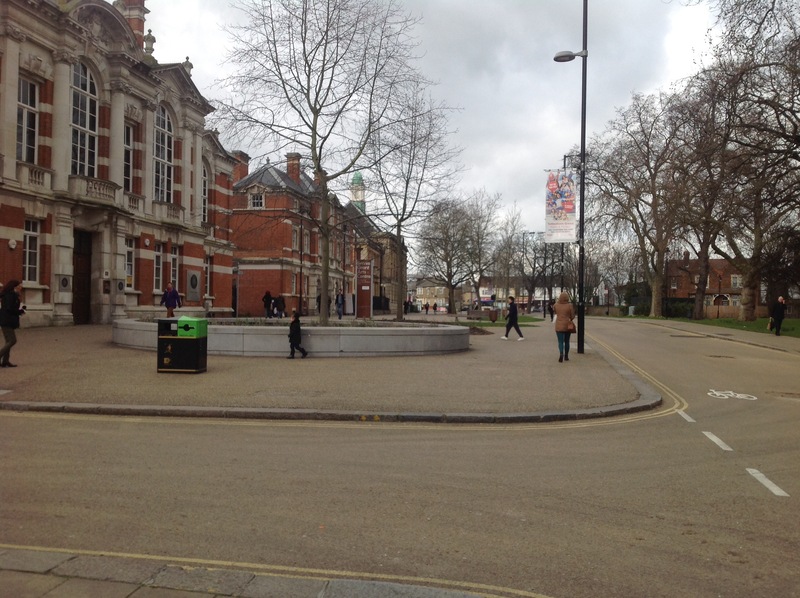 I had a meeting at the Lordship Recreation Ground Hub and I didn’t feel walking was going to be feasible. A tiny bit too far from were we live, with two kids in tow. We fired up the bike and got there in no time. Something remarkable on our way happened too. Pedestrians were happy for us to share the pavement (mostly I encounter grumpy people even though I am extra careful) and even a driver stopped for us when we wanted to cross the road. I have seen this behaviour with the cargo bike before and now it happened again. Psychology of human nature: “be careful around the thing we don’t understand”? I don’t know, but it pleasantly surprised me. Some people stopped me to ask some questions, which was positive too. We arrived at the hub, where I took some pictures in the end. 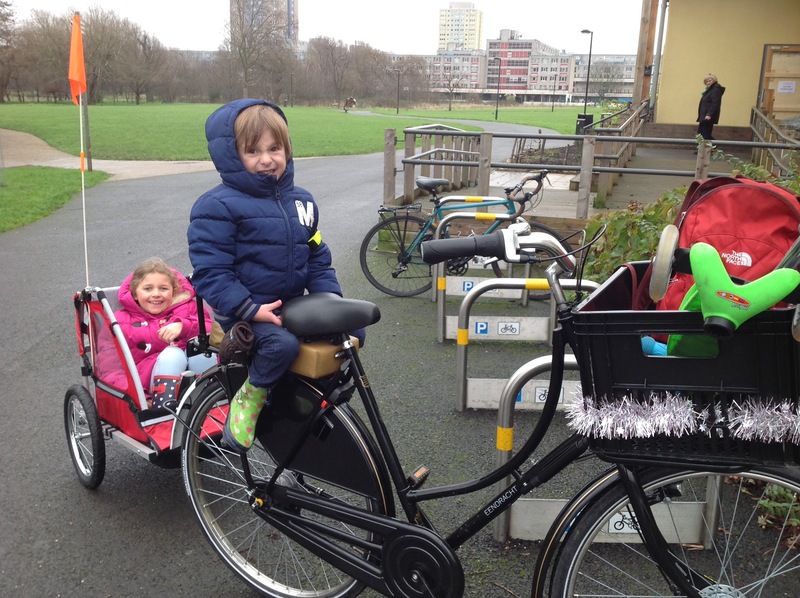 The Bike Bike Addition…nothing is stopping this North London Mum from getting the cycling gospel out there. This is just another chapter to the story!